A Midland Leopard and National at Stirling in July 1983. Two First Bee Line Scanias at the Madjeski Stadium in Reading on the second Fasttrack Park and Ride service [May 2000]. Metroliners from Wessex and Western National on a rainy M4 motorway in August 1986. Some city Glasgow. Midland MRF163 (LMS163W) passes through Springburn on its way to Auchinairn in December 1983. Down town Manhatten, October 1989. 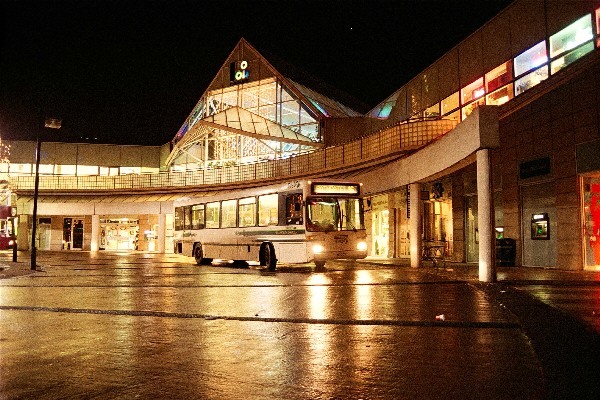 An Optare/Mercedes of First Edinburgh is seen at the Gyle Shopping Centre, just west of Edinburgh, in December 2000. The Pope visited Glasgow in August 1982. 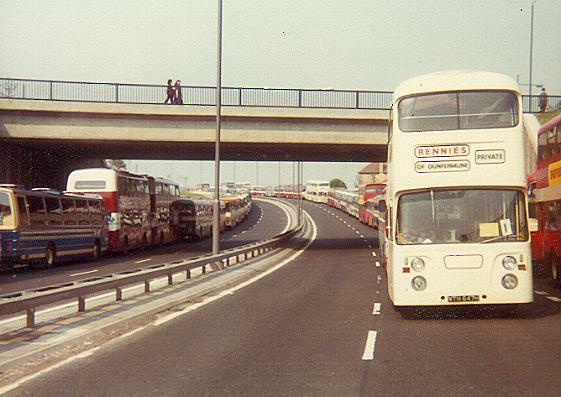 To accommodate such large numbers of coaches, the M77 motorway was converted to an enormous car park. 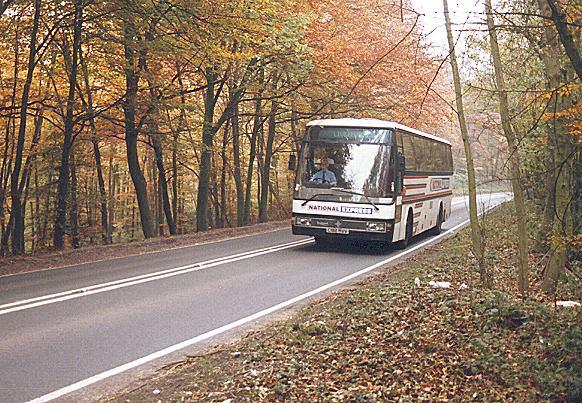 National Express 2 (182RVV) speeds through Autumn leaves in November 1987, going from Reading to Oxford. Crosville ECW/Olympian KFM113Y climbing out of Birkenhead in April 1990, with the River Mersey and Liverpool skyline behind. A ZWN DAF/Den Oudsten crosses the bridge into Gorinchem (NL) in March 1995. A Stagecoach South Coast Volvo at the recently renovated Dome cinema in Worthing in July 2000. Breda (NL) has a picturesque town centre. Unfortunately this is the bus station. BBA 418 (BN-94-XZ) is seen here in November 1994. A KCB Olympian is caught in an unexpected blizzard in Hamilton Bus Station, December 1996. A Reading Mainline Routemaster passes a host of golden daffodils near Whitley Wood in April 1998. Cannes Bus Station in June 2000. Both town and coastal services leave from here. Cafe society: NZH Volvo/Berkhoff 275 (VH-73-ZP) at Haarlem Bus Station (NL) on an Interliner service to Schiphol Airport in July 1995. Inverness Bus Station in September 1996. It is currently in the process of being renovated. 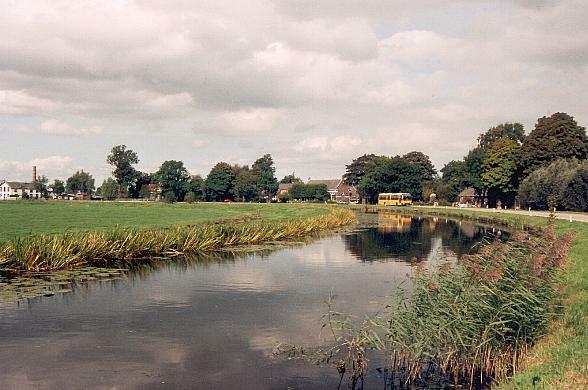 Autumn reflections: A Midnet DAF/Den Oudsten wends its way from Amsterdam to Utrecht (NL) in September 1995. Ambassador Travel RE850 (SAH850M) at Oxford Bus Station in snow in February 1985.